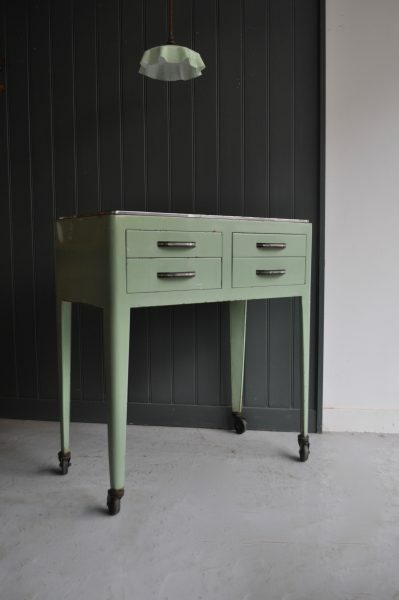 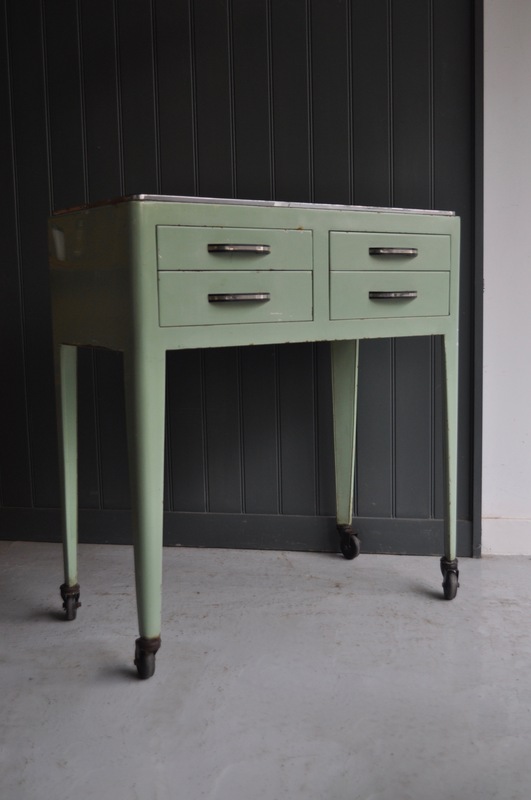 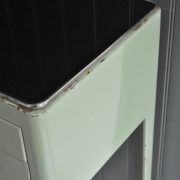 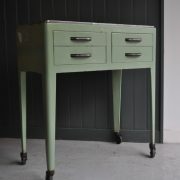 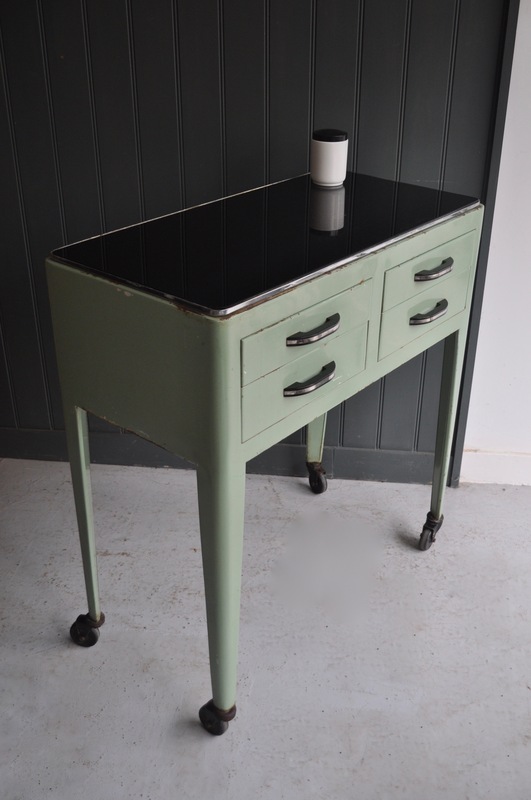 Belgian dental table in original green paint, and with a black vitrolite glass top. 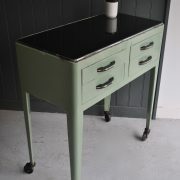 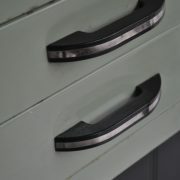 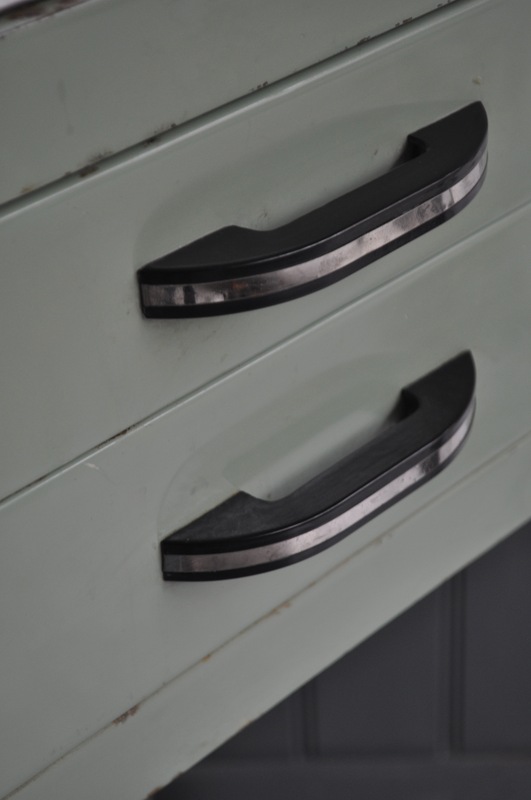 Four drawers with original black deco handles, and four original castors to the base. 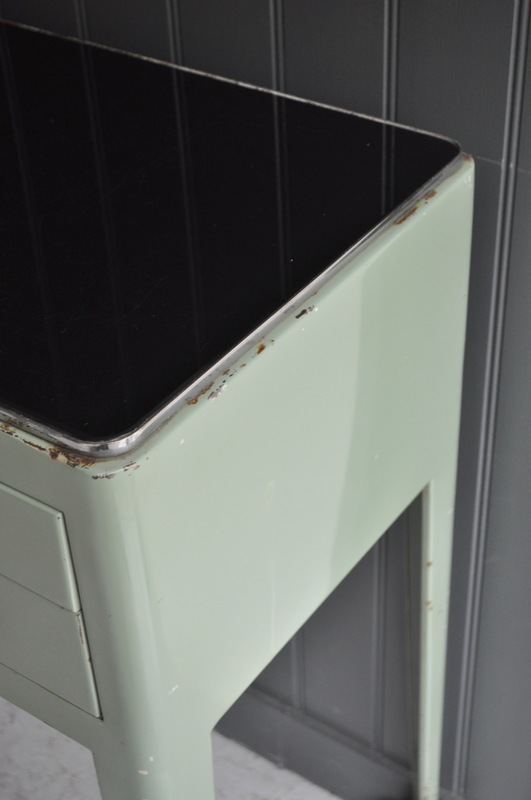 Some loss of paint and tarnishing, particularly to the perimeter of the top, and lots of light scratch marks to the vitrolite top consistent with age, but nothing that is off-putting.